Just how strictly controlled the process is becomes obvious when it emerges that the task of the 50 member Citizens' Jury will be to produce 'a short independent guide to help every South Australian understand the recommendations raised' by the report. ABC news has dubbed this whole process the Premier's 'public relations exercise', and surely they're not wrong. He is urging all South Australians to remain 'open' about the proposal. But are they, including the Citizens' Jury, allowed to be open to refusal? The evidence of misbehaviour by banks has become public at a time when the underlying ideology has also been criticised. 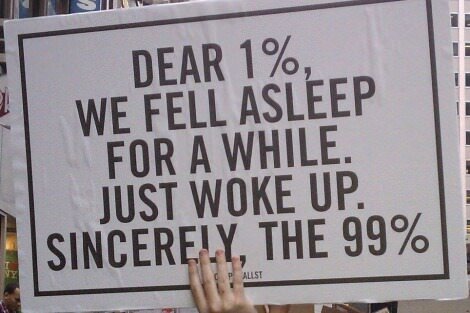 The inherent unlikelihood that an economy based on individual greed will benefit the whole of society is now patent. 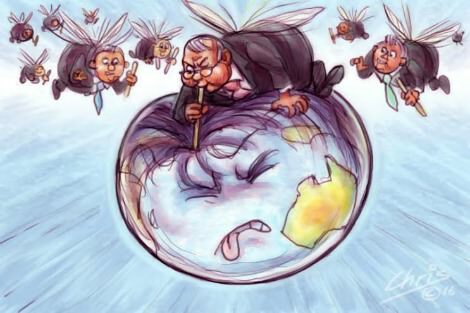 It is seen as much more likely that unregulated competition for material gain will lead to the concentration of wealth in the hands of the wealthy and powerful. Evidence now suggests that inequality hinders the economic growth it was presumed to nurture. Having worked in closed organisational systems like Victoria Police and various government departments, I have often reflected on how and at what point organisations and their employees become comfortable with the belief that their ideas and attitudes are better informed than those of the general populous - and that their survival is more important. 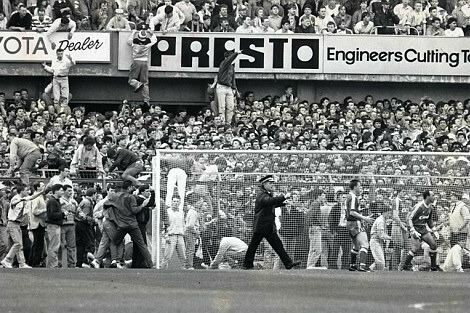 A very stark example of this are the recent court decisions relating to the Hillsborough Stadium disaster in 1989, where 96 people were killed. In democracies, public sentiment is meant to be taken seriously. Describing something as populist is a refusal to engage with the sentiment, including its source and complications, usually because we find it disagreeable. The subtext is: people are wrong about the things they care about. They are not being rational or realistic. It is a brave thing to say these days about support for a royal commission into banks, or softening public attitudes toward detention-bound children. As fifth century BC Athenian historian and general Thucydides said: 'The strong do what they can, and the weak suffer what they must.' 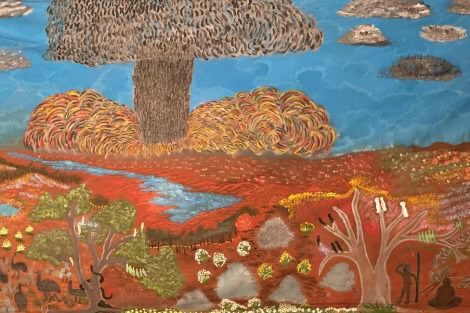 'I'm sitting here trying to eat my weetbix and keep my thoughts calm,' said Enice Marsh, Traditional Owner for the Flinders Ranges area of SA. 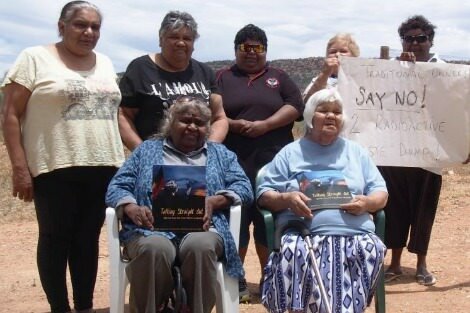 Enice and the other Adynamathanha Elders had just received the news that former Liberal Senator Grant Chapman's property Bardioota is 'at the top of the list' to be the site of Australia's national radioactive waste dump. A bench of five justices of the Supreme Court of Justice, the highest court in Papua New Guinea, has unanimously ruled that the detention of asylum seekers on Manus Island is unconstitutional. 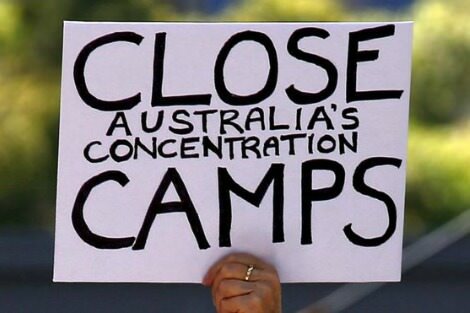 Yet again, Australia has been complicit in its Pacific neighbours (PNG and Nauru) prostituting their Constitutions and undermining the rule of law in exchange for a fistful of dollars, with hapless asylum seekers, most of whom are ultimately proved to be refugees, being left to languish. The Royal Commission into Institutional Responses to Child Sexual Abuse has now published its Case Study 26 on the Neerkol Orphanage in Rockhampton. It finds that the response by the bishop and by the Sisters of Mercy to victims making complaints prior to 1996 was often inadequate and lacking in compassion. The word 'compassion' or 'compassionate' appears 21 times in the report. I have no problem with church people or other individuals adversely judging church leaders for a lack of compassion. There may even be a case for politicians doing it. But I don't think it's the job of a royal commission. People are sensitised to government-enabled corporate excess and doubt elected officials are capable and willing to serve their interests. The lesson from the 2014 federal budget is that there are non-negotiables around the function of government: to provide the conditions that ensure the flourishing of all citizens. 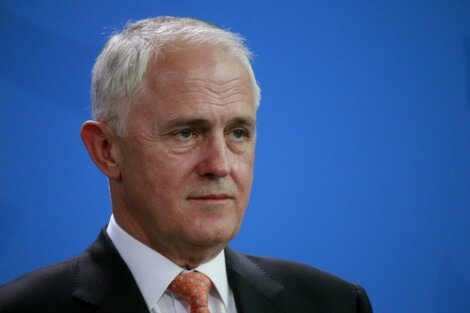 Yet in terms of future-proofing living standards, the Coalition has so far presided over an ideas bust rather than boom, unless boom is the sound of something spontaneously combusting. 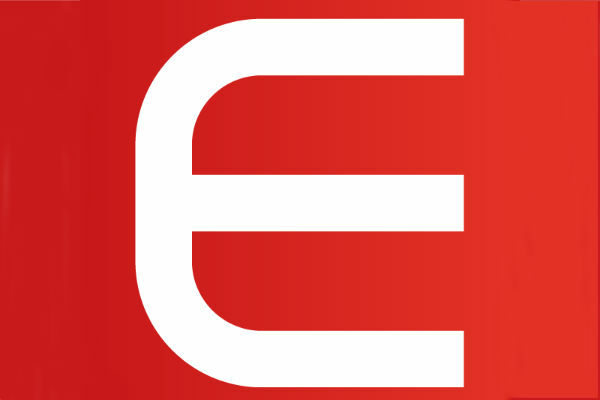 Three finance-related events are currently gaining great attention in the media. One is the so-called Panama Papers. 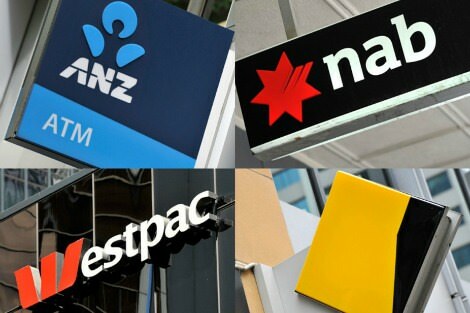 Another is the proposal to have a royal commission into the banks. And a third is the furore over the unaffordability of homes and the debate over negative gearing. On the surface they would seem to be quite separate issues. But all three issues demonstrate yet again that banks are, if not the most malign organisations on the planet, then certainly among the most dangerous. 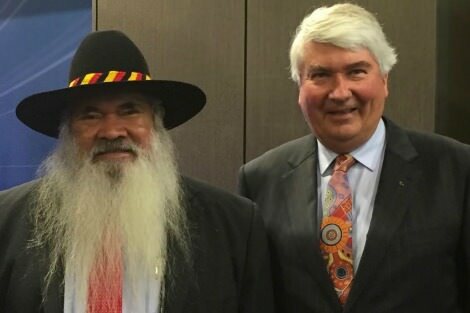 The royal commission into Aboriginal deaths in custody, which signed off on its final reports 25 years ago this Friday, definitely improved the systems for supervision of persons in detention, reducing the risk of deaths in custody. It also led to better coronial procedures. But it failed to reverse Indigenous imprisonment rates and it did little to counter the underlying causes of Indigenous imprisonment. Back then, Patrick Dodson saw police as the main problem. Now, he thinks it's the legislators. 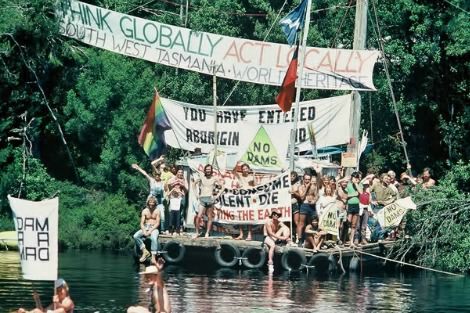 The passing of Bob Ellis recalls his faithful accompanying of the 1984-1985 royal commission into the British nuclear tests conducted in South Australia in the 1950s and 1960s. 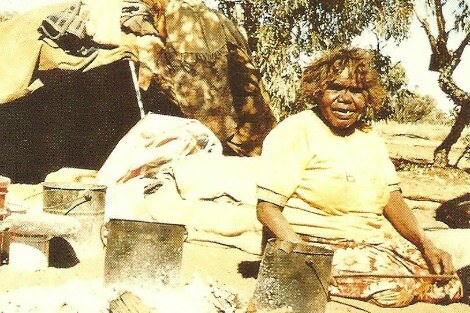 His article on the Wallatina hearings described what he named as the commission's 'worst story of all': Edie Milpudie's telling of herself and her family camping, in May 1957, on the Marcoo bomb crater. Re-reading the Ellis article, tears stung my eyes. It's so good when truth is recognised and held up for our freedom.